Eczema can appear in many forms and on any part of the body. It’s most often described as dry, flaky skin and often times can become itchy and inflamed. If you or someone you love has ever experienced eczema, you know how difficult it can be to find products that not only give positive results, but also ease the discomfort that can come from a chronic dry skin condition. These seven natural practices can help to repair your skin in order to retain the necessary moisture it needs to feel happy and healthy. Eating wild salmon, flaxseed oil, chia seeds, and cod liver oil are great ways to reduce eczema symptoms and replenish the deficiencies that most people have when it comes to essential fatty acids. EFA’s are essential to our bodies, and consuming about 8 grams a day is recommended not only for eczema treatment, but for your general health. 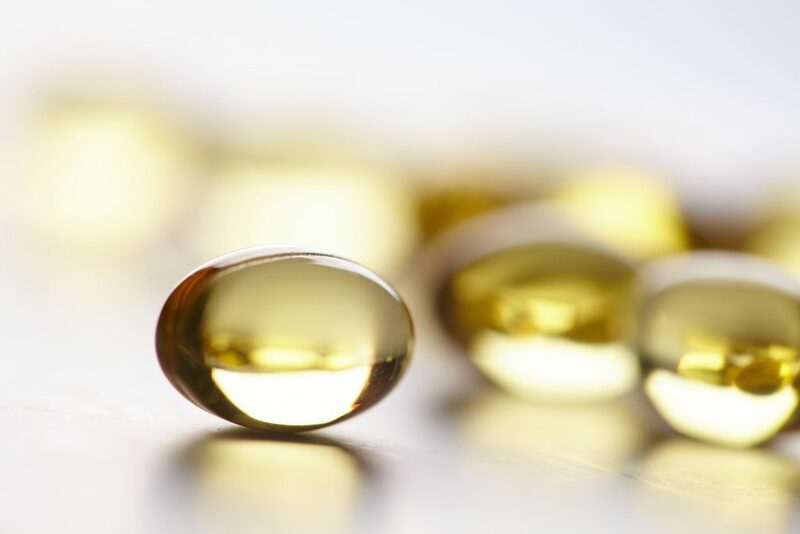 If you’re experiencing extreme eczema, you may consider taking an omega-3 supplement in addition to what you take in from your diet. 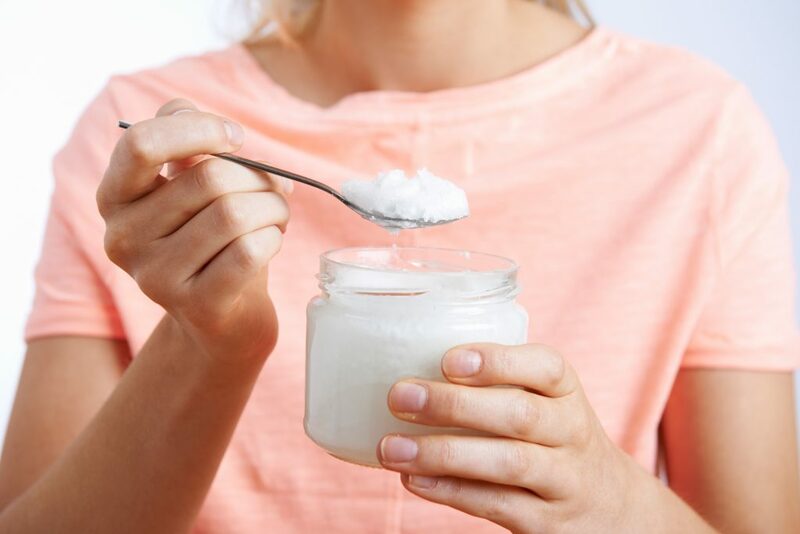 Applying a thin layer of coconut oil to eczema-affected skin can provide relief to dry or itchy areas, and helps your skin to retain moisture in a natural, healthy way. Coconut oil is naturally soothing, antibacterial, antimicrobial and relatively easy to find in any grocery store. You’ll find more instructions on how to use it most effectively when you get to number 6. Toxins get trapped in the body when we experience constipation, and toxins are manifested in the skin. That’s why eating a lot of fruits and veggies, along with nuts and seeds, gives your body the fiber it needs to keep your bowels moving regularly. Often we’re consuming foods that aggravate our skin condition without even realizing this is the case. 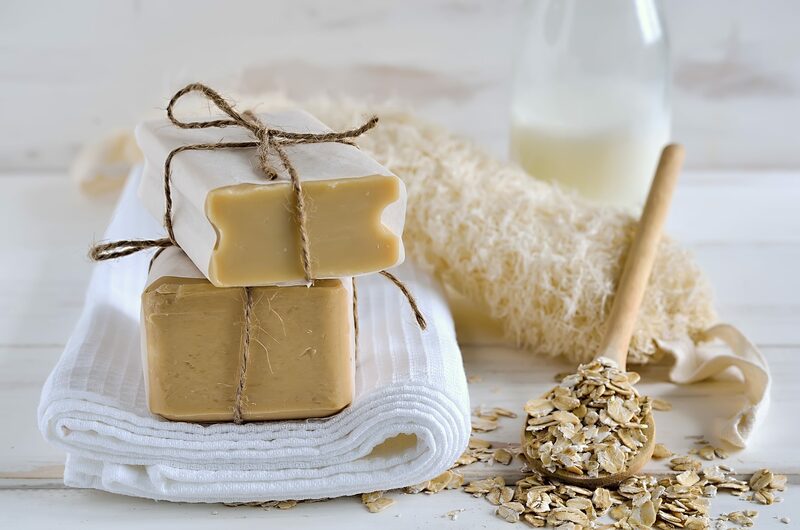 Over processed vegetable oils, preservatives and other ingredients that contain unhealthy fats deplete our bodies of the nutrients they need and can manifest in the form of eczema or acne. Try making a commitment to Eat Clean for 30 days and you’ll likely see and feel a big change in your skin within a matter of weeks. Foods that are rich in vitamin A are also proven to help with skin health. 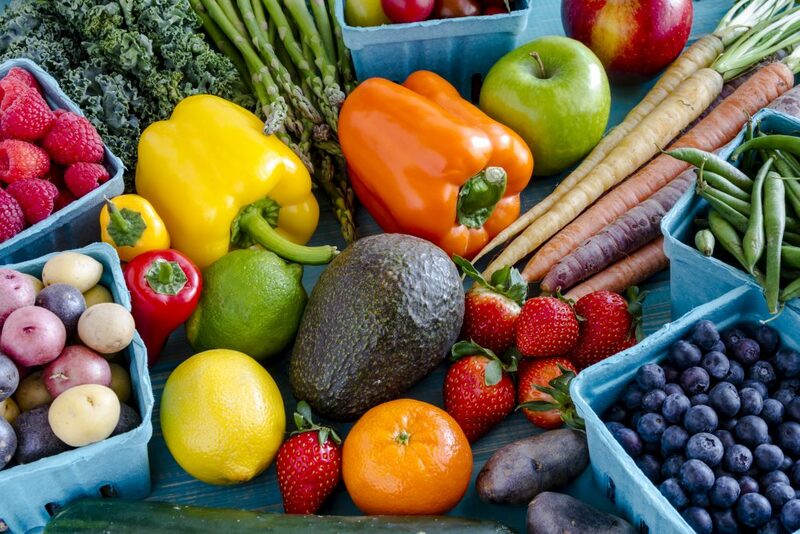 The easiest way to know what fruits and veggies have the most vitamin A is to look for orange and yellow colored vegetables, like carrots and yellow peppers. Keep in mind however, Vitamin A is fat soluble to you need to eat these veggies cooked with butter or ghee, or in a bone broth soup. 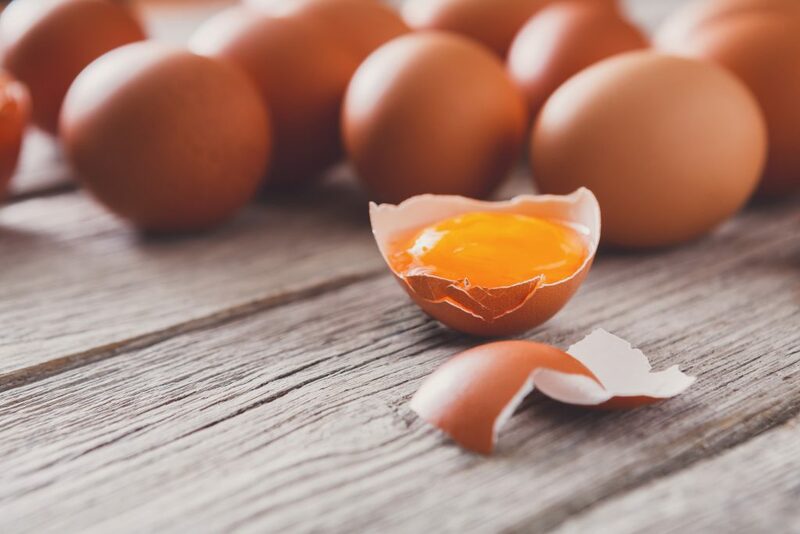 Other rich Vitamin A sources that you can consume on their own are egg yolks, butter and cod liver oil. 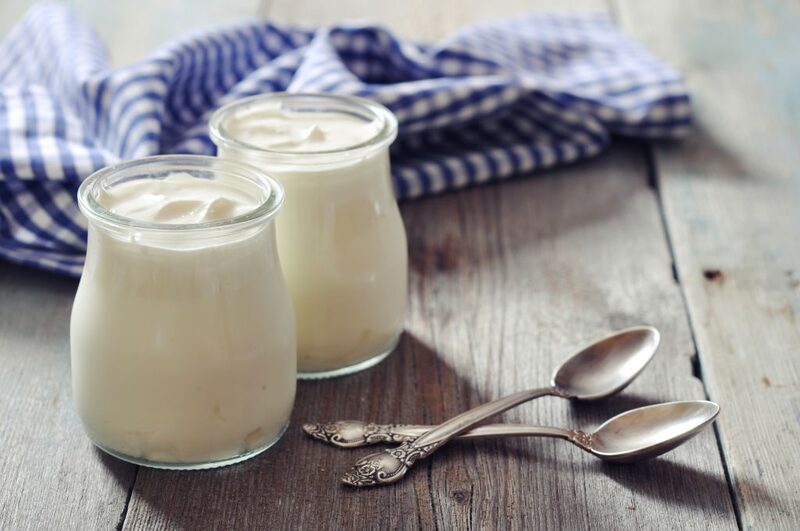 Including probiotic-rich foods like sauerkraut, organic grass-fed yogurt and goat’s milk kefir in your diet will create healthy gut bacteria, which improves your immune system and your skin. When people suffer from dry skin, like eczema, it comes from the fact that skin needs to retain its moisture in order to stay healthy. 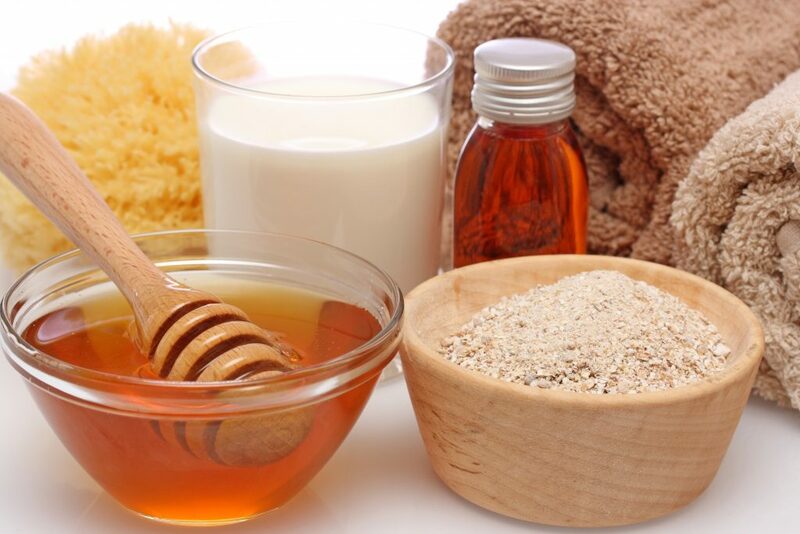 Soaking in an oatmeal or chamomile bath is a great way to repair your skin’s ability to retain moisture. Be sure to only bathe in lukewarm water, and moisturize your skin immediately afterwards. Instructions: Run a warm bath, and gently mix in your bath ingredients. Allow your body to soak for 15-20 minutes in the mixture. Follow up the bath by gently padding skin dry and covering your skin in a layer of coconut oil to gently relieve the itch, add moisture and support healing. Feeling overwhelmed and stressed might not be the cause of eczema, but it can sometimes lead to an intense flare-up. 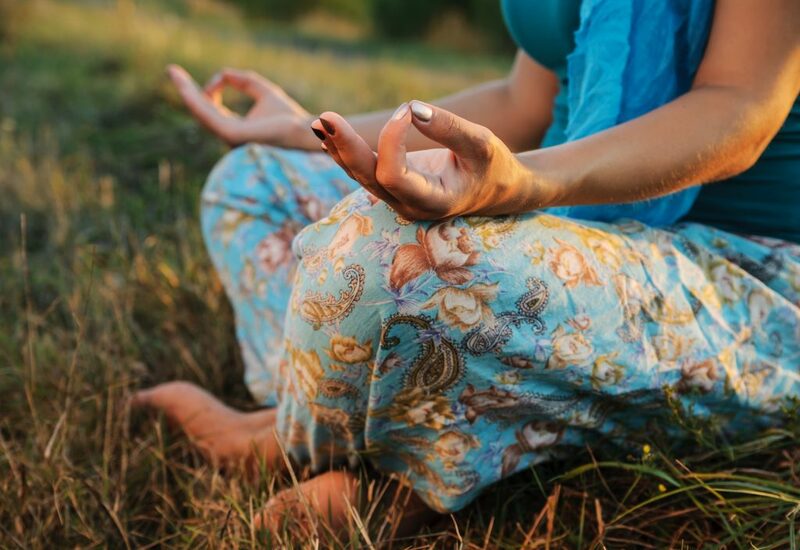 Learning how to manage your stress by getting enough sleep, exercising, and considering other practices like meditation and acupuncture, are all great ways to serve your mind and body. The more aligned we feel on the inside, the more it will reflect on the outside. Sit outside quietly in nature, go for walks and find ways to calm your mind while moving your body gently.